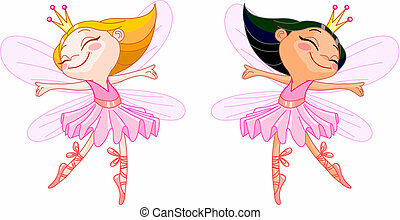 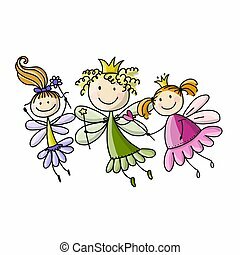 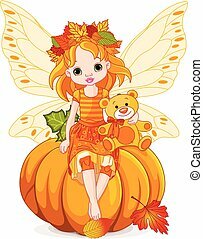 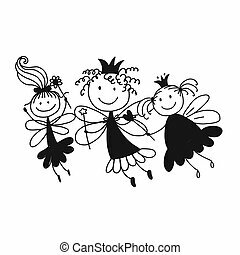 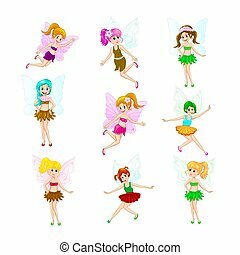 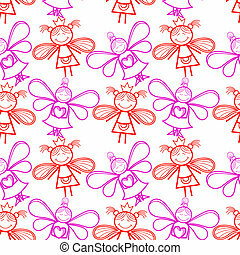 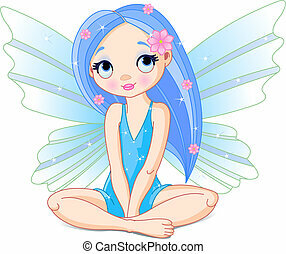 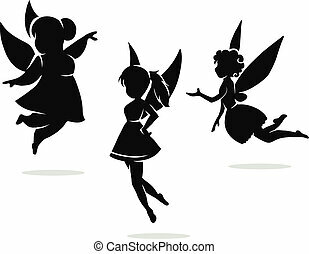 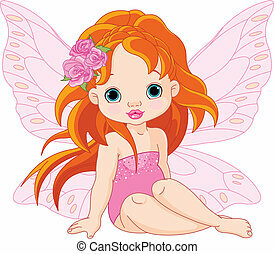 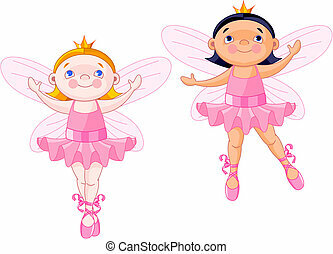 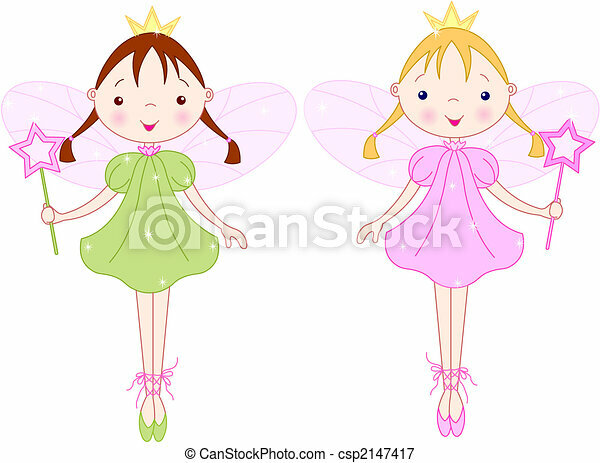 Little fairies. 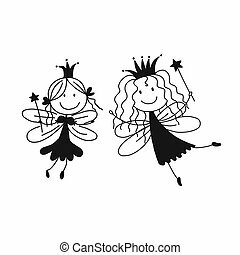 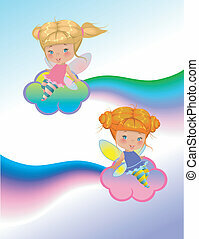 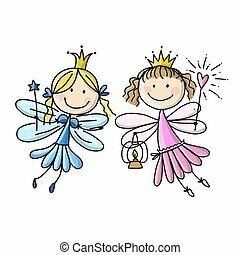 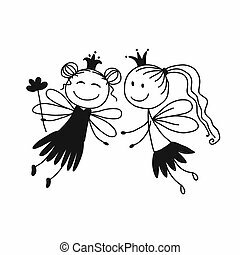 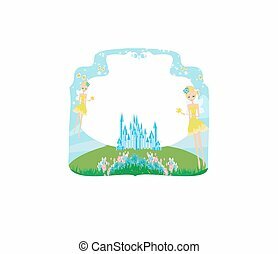 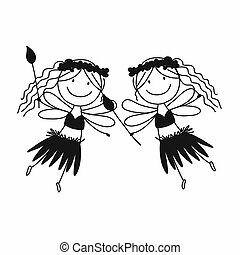 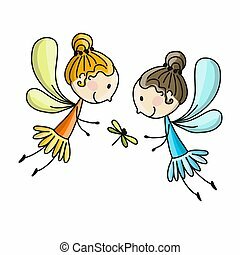 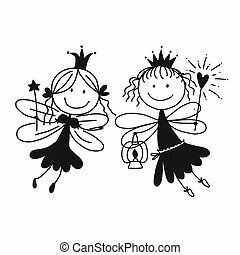 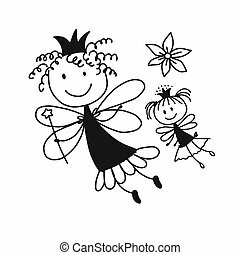 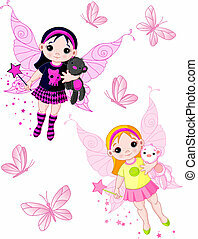 Two cute fairies with magic wand. 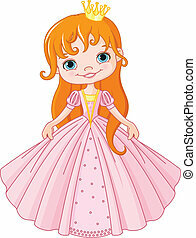 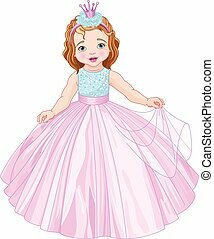 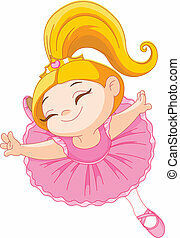 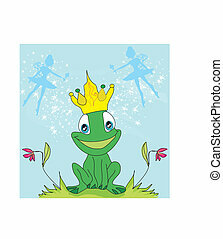 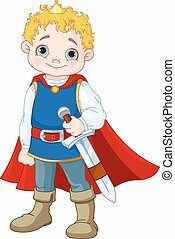 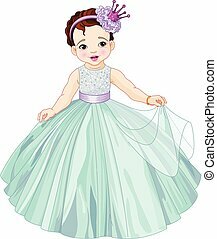 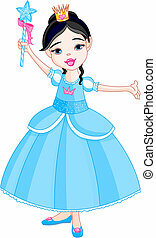 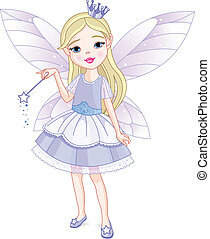 Beautiful little princess in blue dress with magic wand.